Electrical Engineering and Information Technology form the foundation of the digital age and are among the prime engines of technological and economic progress. They offer us a head start on the challenges of the future in areas as diverse as automotive technology, power engineering and electronics engineering, with applications ranging from household appliances to space satellites. The rapid developments in information and communications technology in particular underscore the tremendous importance of Electrical Engineering and Information Technology. This degree programme offers an interdisciplinary approach to the design, manufacture and integration of energy and information into engineering systems and processes. It covers fundamental engineering principles and application-based skills in innovative product development. Students have a choice of specialisation in Microelectronics, Integrated Circuit Design or Automation. Electrical Engineering and Information Technology professionals excel in research and development, planning, design, operation, purchasing, sales, teaching, patent procedures and business management, in telecommunications, construction, power supply, consumer electronics, and more. Learn about Technical University of Munich’s Bachelor of Science in Electrical Engineering and Information Technology. 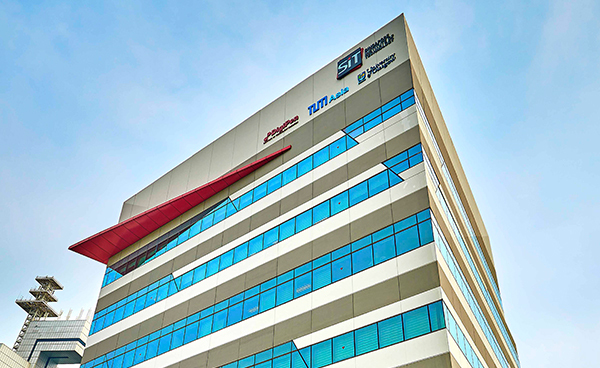 Applicants who are not graduates from a Polytechnic in Singapore, but have completed a formal 12-year education equivalent to A-Levels, are eligible to apply. All students will have to complete an attachment at the home campus of Technical University of Munich (TUM) in Germany within the final semester of their degree programme. Students will undergo matriculation at the TUM home campus when they attend the Overseas Immersion Programme. The exact duration of their stay in Germany may vary with each student but in general, students from the EEIT degree programme will have to spend about 12 weeks abroad, whilst students from the CE degree programme will have to spend about 17 weeks abroad. EEIT students will carry out their Bachelor’s thesis under supervision by their German professors. CE students, in addition to the Bachelor’s thesis, will have to attend laboratory courses on Physical Chemistry and Chemical Engineering at the home campus. Fundamentals: real and complex numbers, supremum, induction, notion of functions, mathematical notation. Vectors, matrices, linear equation systems, scalar and vector product, determinants, orthogonality, linear spaces, linear transformation, eigenvalues, matrix factorizations (especially diagonalization and singular value decomposition), matrix norm, Linear differential equations with constant coefficients. Basics of digital information representation, information processing and storage: number representation and arithmetic operations in binary number system. Basic model for functional behaviour of MOSFET transistors, current equation, delay and dynamic power. Circuitry-wise realization of arithmetic operations (addition, subtraction, multiplication) as well as the synthesis of bi- and multiple-stage combinatorial operations (conjunction, disjunction, negation) and sequential switchgears consisting of basic components (logic gates, registers, MOSFET transistors). Logic optimization of combinational circuits (switching network). Techniques to improve the information flow of clocked, sequential switchgears via pipeline and parallel processing. Role and structure of finite state machines as control and monitoring units of multiple convenient applications. Basics of methodological testing of circuits: fault diagnosis, derivation of fault coverage tables, testing regulations in combinational circuits and sequential switch gears. Besides the functional aspects of digital circuit technology and the causes and limits of performance, the time response and the energy consumption of digital complementary metal oxide semiconductors (CMOS) technologies in the context of information and communication technology (ICT) are taught. In addition necessary economic aspects of CMOS are addressed. Linear and nonlinear resistive circuits. Lumped-Circuit Approximation, Modelling: Electric devices, circuit elements, graphs, Kirchhoff’s laws, linearity. One-ports: v-i characteristics and properties, parallel and series connections, DC-operating point and linear approximation, small-signal analysis. Two-ports: Representations and properties, vector space approach, special two-ports, connections. Transistors: Modelling of bipolar and field-effect transistors, basic circuits and their analysis (DC-points and small-signal approximation). Operational Amplifiers: Linear and nonlinear modelling, basic circuits. Multi-ports: Representations und special multi-ports. Circuit Analysis: Interconnect and its properties, Tellegen’s theorem, incidence matrices, tableau analysis, node and loop analysis, direct set-up of the node- admittance matrix. General Circuit Properties: Substitution theorem, superposition theorem, Mayer- Norton and Helmholtz-Thevenin theorems, passivity, incremental passivity und monotonicity. Logic Circuits: Boolean algebra, basic gates and their realization. Mechanics, oscillations and waves, thermodynamics, optics, atomic and nuclear physics. Integral and differential calculus (multidimensional): curves, scalar and vector fields, partial derivative, gradient, total derivative, functional matrix, implicit functions, extreme values with and without constraints. Differential and integral calculus (multidimensional): vector fields, line integrals, potential, and volume integrals. Differential equations: ordinary differential equations, special types of 1st order differential equations. Automata theory, formal languages and grammar, fundamental string processing, design and analysis of algorithms, abstract data structures, graphs, trees, lists, pointers, queues, stacks, basic algorithms, sorting, searching, graph algorithms, complexity measures, modelling, basic programming techniques (loops, branches, pointers, etc. ), basic language structure (programming using C), usage of editors and compilers. Structure of computer systems, micro-architecture, instruction set architecture, data and instruction formats, assembler programming and high-level language, interaction of computer programs and operating system, operating system tasks. Linear and nonlinear dynamic circuits. Energy Storing Elements: Nonlinear and linear capacitor and inductor, curves in the u-q- and i-phi-plane, duality of charge and flux. Properties of dynamic one port: linearity, memory and initial state, continuity, lossless property, energy storage and relaxation points. Series and parallel connection of dynamic one ports. First Order Circuits: Linear and piece-wise linear resistive circuits connected with a linear dynamic one port. Calculation of the port variables of time invariant circuits for constant, piece-wise constant and arbitrary excitations. Time variant circuits with switches. Piece-wise linear first order circuits: dynamic route, equilibrium states, impasse point, and jump phenomenon. Relaxation oscillators and bistable circuits. Linear Second Order Circuits: System of coupled first order state equations in two state variables. Equation formulation, realization of the state equation. Zero input case: solution of the state equation with the eigenvalues and eigenvectors of the A matrix and transformation to the normal form. Discussion of solution types and types of equilibrium states with phase portraits and time functions. Consideration of autonomous systems and systems with arbitrary excitations. Nonlinear Second Order Circuits: Nonlinear resistive two ports connected with two linear dynamic one ports. Piece-wise linear two ports: classification of equilibrium states and sketch of phase portrait. Constant-energy circuits. Limiting orbits: linear oscillator, relaxation oscillator. Phasor Analysis: Systems with sinusoidal excitation in steady state. Properties of phasors: uniqueness, linearity, and differential rule. Network functions: complex frequency and natural frequencies, frequency response: Bode plots. Electrostatics: charge, electrical field, potential, capacity, electrical energy. DC: current density, charge conservation, Kirchhoff’s circuit laws, Ohm’s law. Magneto statics: magnetic fields, solenoidal fields, Ampere's law. Induction: electromagnetic induction (motional and motionless induction), inductivity, magnetic energy. AC: linear circuit elements, complex AC analysis. Orthogonal series (especially Fourier series), Fourier transform, Hilbert space. Complex analysis: Properties of analytic functions and integral transforms, residue theorem, Laurent expansion (Laurent series), singularities. Differential equations: continuation of linear theory, nonlinear differential equations, existence and uniqueness theorems, stability. Time-continuous and time-discrete signals, linear time-invariant systems (LTI- systems), convolution, convolution integral and convolution sum, pulse response of LTI-systems, stability and causality, periodic signals, orthogonal function systems, time-continuous Fourier series (FS), time-continuous Fourier transform (FT), Fourier integral, relationship between FS and FT, corresponding TF pairs, amplitude modulation and signal reconstruction, linear differential equations and transfer functions, Bode diagram, introduction to filter technology, time-discrete Fourier transform (TDFT), linear differential equations, time-discrete filters, sampling in the frequency domain, Laplace transform (LT), convergence properties of the LT, z- transform, residue theorem, discrete Fourier transform (DFT). Probability theory: sample space, sigma algebra, probability measure, conditional probability, stochastic independence, Bayes' theorem, discrete and real random variables, probability distribution and density, joint distribution and density, functions of random variables, expectation and variance, conditional expectation, generating and characteristic function, central limit theorem, law of large numbers and Chebyshev inequality. Standard stochastic models: (Bernoulli) uniform, binomial, Poisson, geometric, normal and exponential distribution. Stochastic random sequences: ensemble of random variables vs. Path model, distributions and densities of random sequences, discrete random walk process, convergence of random sequences, Markov property, Markov chains. Random processes: auto- and cross-correlation function, Wiener-Levy process, Poisson process, Markov processes, classification of random processes, power spectral density, Wiener-Khintchine theorem, linear systems and random process, white Gaussian noise, deviation and integration of stochastic paths, the MSE-calculus and the Karhunen-Loeve development of random processes. Maxwell equations, material models, energy transport and electromechanical forces. Electromagnetic waves: polarization, dispersion, damping, reflection, refraction. Radiation of antennas in free space. Basics of quantum mechanics; structure of matter (atoms, molecules, crystals); mechanical, thermal, dielectric, optical and magnetic properties of solids; electrical and thermal transport, free electron gas; metals, dielectrics, plastics, glass and ceramics; energy band model; semiconductors and their applications; superconductivity; the most important materials for applications in electronics. Numerical Analysis and Optimization: linear and nonlinear equation systems, error analysis, interpolation, numerical integration, initial value problems for ordinary differential equations (ODE), boundary value problems, partial differential equations. Propositional Logic: propositional forms, truth-set, laws of propositional logic, rules of inference; law of resolution; logic conclusions; binary decision diagrams (BDDs), operations on BDDs (application: e.g. logic verification, logic synthesis). Predicate Logic: predicate logic forms, laws of predicate logic, deduction scheme, induction (application: e.g. petri nets). Sets: notation, operation, relations between sets; Boolean algebra of subsets (application: e.g. string operations, discrete system simulation). Relations and Graphs: fundamentals, operations on relations; properties of relations, representation of relations (e.g. matrix representation); closures, order relations, equivalence relations (application: e.g. graph algorithms); binary graphs, possibly graph algorithms; extrema. Finite State Machines FSMs (possibly very briefly, depending on contents of other lectures): relation-based description; optimization of FSMs. Algebraic Structures: rings: fundamentals, properties, substructures, homomorphism and isomorphism, modular arithmetic; groups: fundamentals, properties, homomorphism and isomorphism, coset. Complexity Theory: numbering, elementary counting; asymptotic behaviour of cost functions. Source signals and their spectra, sampling theorem, quantization, basic concepts of the rate-distortion theory, pulse code modulation (PCM), differential PCM. Basic concepts of information theory, source coding and entropy encoding. Baseband transmission: pulse waveforms and their spectra, Nyquist criterions, eye diagram. Transmission channel (e.g. AWGN-channel), matched filter, detection in random noise, error probability for anti-periodic and orthogonal transmission, linear digital modulation schemes (PSK, QAM), realization aspects (clock, phase and frequency estimation). Introduction to digital measurement systems, measuring amplifiers and bridges, display, conversion and processing of measurement data, measurement systems with resistive, capacitive and inductive sensors, technical temperature measurement, measurement systems with optical sensors, electric and magnetic effects in sensor materials, measurement systems with ion-conducting sensors, measurement systems with gravimetric sensors, measurement systems with time delay and Doppler sensors. Importance of electricity industry, generation of electrical energy, energy storage technologies, three-phase system (alternating current technology), electric machines, transmission of electrical energy, electric power grids, high voltage technology, electric drives, (electronic) power converters, electrical safety. Basics in semiconductor electronics: bonding model and energy band structure, Electrical and optical properties of semiconductors, carrier transport, PN- junction and filed effect. Structure and operation of semiconductor devices: Diodes (PN diodes, Schottky diodes, and optical diodes), bipolar transistor, MOS structure and field effect transistor, memory cells, IGBT, thyristor. The lecture serves as an introduction to cryptology and IT-Security, starting with the basic aspects of security: confidentiality, authenticity and integrity, anonymity, non-repudiation, authorisation and access control as well as threats and risks in IT-Security. The relevant results from discrete math are reviewed with special focus on the arithmetics of finite fields and elliptic curves. The discussion of cryptographic mechanisms (symmetric vs. asymmetric cryptography, stream cyphers, hybrid cryptography, one-way- and hash- functions, digital signatures) is succeeded by the inspection of important cryptographic algorithms. Common primitives are considered along with their modes of operation. The application of these algorithms for cryptographic protocols such as challenge-response procedures, Diffie-Hellman key exchange, the Fiat-Shamir protocol, Kerberos and public key infrastructures is covered. Complementary the implementation of complex secure systems such as PKI- infrastructures and access control will be studied as application examples. Finally the design of secure systems, "system engineering" is discussed. 2.1 State space representation: forms of realization (direct form, normal form, and cascade form), sensitiveness. 2.2 Standard approximations: Butterworth-, Tschebyscheff-, Cauer- und Bessel- filter. 3.1 Transfer functions of time discrete systems. 3.3 FIR-filter design: linear phase FIR-filter, window function, LS-design in the frequency domain, minimum phase FIR-Filter. 3.4 IIR-filter design: Richards transform, Bilinear transform, time-discrete integrators. 4.2 stability of state, bibo stability. 5.4 Wiener-Kolmogorov Filtering: least square method, minimum mean-square error by Wiener Filter, comparison with Zero-Forcing and Matched Filter. This course gives students the opportunity to learn the basics of the design and the characterization of analog circuits. Therefore basic circuitry (e.g. differential pair, current and voltage references) has to be designed with standard industry-tools (Cadence, Matlab). The students have to develop the full schematic diagram and dimension the device parameters. Afterwards the circuitry has to be assembled with discrete devices and the functionality has to be tested. The device and circuit parameters have to be determined and evaluated with test circuits and measurement equipment. Familiarization with CAD environment, PVT (Process, Voltage, and Temperature) variation, Transistor Characterization. The aim of the module is to provide the students with knowledge and understanding of practical Integrated Circuit (IC) design techniques in digital IC. It includes both digital IC design at transistor level as well as system level using hardware description language (HDL). Verilog-HDL is the targeted HDL in this semester. This is a full laboratory course with 100% laboratory assessment, and that’s no written examination. Understanding of micro-structured energy converter system design and dimensioning of micro-transducers, piezoresistive transducers, piezoelectric transducers, magnetic transducers, Calculation of basic structures and design of micro-structured mechanical and fluidic elements. Representation and Analysis of Multi-Input Multi-Output Systems, performance specification and limitations, H control (PK structure, H control problem, Mixed sensitivity design, characterization of H norm, control synthesis), bisection algorithm. The laboratory consists of experiments on the following topics: computer aided control design, state space control design, systems with distributed parameters, machine vision in automation systems, mobile robots, automation with petrinets and neuronal networks. NOTE - 'A' level students have to do 2 soft skills modules and Engineering Practice (Internship) in Semester 6.